In this present research mechanical, impact damage and drilling characteristics of silane-treated silicon (IV) oxide particle dispersed kenaf natural fibre-reinforced epoxy hybrid composites has been studied. 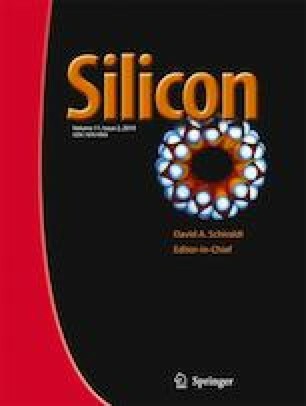 The principal aim of this work is explicit the role and need of silicon (IV) oxide nano particle in epoxy matrix along with kenaf fibre and benefit of silane treatment on reinforcements in mechanical, impact damage resistance and drilling characteristics. Nano silicon (IV) oxide particle of size 20 nm and kenaf fibre of 450 GSM were used to make composites with silane-treated form. Kenaf natural fibre of 50 vol.% and silicon oxide particles of 0.5, 1.0 & 2.0 vol.% were used for making hybrid composites. The maximum tensile, flexural and impact strength of 172 MPa, 255 MPa and 6.45 J was observed for composite contain 50 vol.% of fibre and 2.0 vol.% of silicon oxide. Similarly the silane treated composite designation of EKS3 gives very low impact damage on comparing with other composite designations. The drilling characteristics of hybrid composite proved that the addition of nano silicon (IV) oxide and silane-treated kenaf fibre reinforced epoxy composite maintains high dimensional stability, lower friction penetration, lower thermal affected zone and lower tool wear compare than other composites.